School will be in session soon and I want to be sure my brakes are in good shape. Are there any warning signs that my brakes may need servicing? Attached to most brake pads are small devices that, when they come in contact with the brake rotor, make a high-pitched squealing sound. This noise only occurs when brake pads have worn down to about three quarters of their thickness. This noise will not go away and will only continue to get worse. It is your warning sound that an appointment is necessary before permanent damage occurs to your rotors and makes driving hazardous and brakes inoperable. 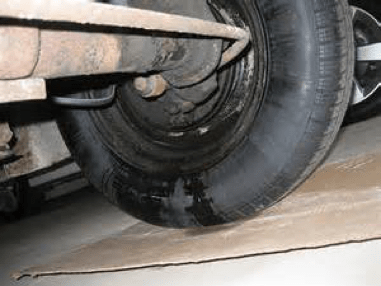 Occasionally, a grinding noise heard when brakes are applied indicates that a rock or debris has been stuck inside the brakes or that something has moved within the brake system. It can also mean that a squeal was not taken care of properly and now the brakes are running metal to metal. Determining the cause of the problem right away will prevent more damage. Do not ignore vibrations you feel when applying your brake. 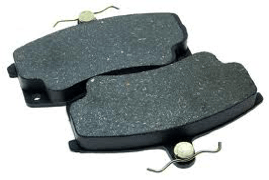 The problem typically occurs when brake pads or shoes are worn or rotors have been scarred or warped. Other causes could be a failing master cylinder or malfunctioning caliper. Delaying an inspection could lead to more costly repairs in the future. If you have to pump the brakes or push the pedal all the way down to the floor to stop your vehicle, there may be air in the brake line. This can happen from brake wear or when the master cylinder has been drained and refilled without properly bleeding the brakes. To restore the effectiveness of the brake system, the air will need to be bled from the line as soon as you notice the symptom. If after applying the brakes, your car delays, slows or does not make an immediate stop, you are risking rear-end collisions with the car or person in front of you. This problem could occur due to numerous issues and needs immediate attention. A slow stop is dangerous and can only be corrected with repair, adjustment or replacement. If you notice any spots or fluids under your car you may have a leak that needs attention. If the fluid is a clear and slightly oily substance located near the wheels or if you notice an increase of grime accumulating on your tires or wheels that fluid may be brake fluid. Frequently that leak is from the wheel cylinders and it will need to be attention. Although it might be tempting to put off repairs, a faulty brake system is dangerous and requires service. A properly functioning brake system ensures your safety as well as others’. At Honest-1, your safety is important to us! If you are experiencing any of the above symptoms, make an appointment or come on into Honest-1 today!